The first austenitic manganese steel was developed in 1882 by Robert Abbott Hadfield. Hadfield had done a series of test with adding ferro-manganese containing 80 % manganese and 7 % carbon to decarbonised iron. Increasing manganese and carbon contents led to increasing brittleness up to 7.5 % manganese. At manganese contents above 10 % however, the steel became remarkably tough. The toughness increased by heating the steel to 1000 deg C followed by water quenching, a treatment that would render carbon steel very brittle. The alloy introduced commercially contained 1.2 % carbon (C) and 12 % manganese (Mn) in a ratio of 1:10. This composition is used even today, and the austenitic manganese steel is still known as Hadfield steel. The steel was unique since it exhibited high toughness, high ductility, high work hardening ability and excellent wear resistance. Because of these properties Hadfield’s austenitic manganese steel (AMS) gained rapid acceptance as a useful engineering material. Austenitic manganese steels have a proven high resistance to abrasive wear including blows and metal-to-metal wear, even though they have a low initial hardness. These steels are supposed to work harden under use and thus give a hard wear resistant surface, but it has been reported that these steels have a good wear resistance in components even without heavy mechanical deformation. Hadfield`s austenitic manganese steel is still used extensively, with minor modifications in composition and heat treatment, primarily in the fields of earthmoving, mining, quarrying, oil well drilling, steelmaking, railroading, dredging, lumbering, and in the manufacture of cement and clay products. Austenitic manganese steel is used in equipment for handling and processing earthen materials (such as rock crushers, grinding mills, dredge buckets, power shovel buckets and teeth, and pumps for handling gravel and rocks). Other applications include fragmentizer hammers and grates for automobile recycling and military applications such as tank track pads etc. At around 10 % manganese content the steel retains in its austenite form at room temperature if cooled correctly. Both hardness and ductility reach their highest points around 12 % manganese depending on other alloying elements in steel. Typical microstructure of AMS is shown in Fig 1. The basic condition for the chemical composition of AMS is the ratio Mn/C=>10. The upper borderline is normally 15 % Mn but in practice this ratio can be increased to 20 % mostly in thick walled castings. The main reason for using of high content of Mn is to improve the hardenability. Austenitic manganese steel is made by alloying steel containing 0.8 % to 1.25 % carbon with 11 % to 15 % manganese. AMS has some special properties that make it irreplaceable. It is unique non magnetic steel with extreme anti wear properties. The high hardness of face layers increases the abrasive wear resistance but since the middle part keeps good toughness, the steel component support high impact stress. The steel is very resistant to abrasion and achieves up to three times its surface hardness during conditions of impact without any increase in brittleness which is usually associated with hardness. This allows AMS to retain its toughness. Austenitic steels with higher manganese contents (>15%) have recently been developed for applications requiring low magnetic permeability, low temperature (cryogenic) strength and low temperature toughness. This applications stem from the development of superconducting technologies used in transportation systems and nuclear fusion research and to meet the need for structural materials to store and transport liquefied gases. For low magnetic permeability, these alloys have lower carbon content than the regular Hadfield steels. The corresponding loss in yield strength is compensated by alloying with vanadium, nitrogen, chromium, molybdenum, and titanium. Chromium also imparts corrosion resistance, as required in some cryogenic applications. Many variations of the Hadfield’s austenitic manganese steel have been proposed, often in unexploited patents, but only a few have been adopted as significant improvements. These usually involve variations of carbon and manganese, with or without additional alloys such as chromium, nickel, molybdenum, vanadium, titanium, and bismuth. AMS is heat treatable, but the manganese lowers the temperature at which austenite transforms into ferrite. Most of the grades are ready for use after annealing and then quenching from a yellow heat, with no further need of tempering. These steels usually have a normal Brinell hardness of around 200 HB (roughly the same as 304 stainless steel), but, due to its unique properties, this number has very little effect on determining the abrasion and impact resistance of these steels. The mechanical properties of austenitic manganese steel vary with both carbon and manganese content. As carbon is increased it becomes increasingly difficult to retain all of the carbon in solid solution, which may account for reductions in tensile strength and ductility. Nevertheless, as the carbon increases above 1.2 %, the abrasion resistance increases, while the ductility is lowered. The carbon content is usually below 1.4 % and 13 % manganese due to the difficulty of obtaining an austenitic structure sufficiently free of grain boundary carbides, which are detrimental to strength and ductility. Heat treatment strengthens austenitic manganese steel so that it can be used safely and reliably in a wide variety of engineering applications. Solution annealing and quenching, the standard treatment that produces normal tensile properties and the desired toughness, involves austenitizing followed quickly by water quenching. Variations of this treatment can be used to enhance specific desired properties such as yield strength and abrasion resistance. Usually, a fully austenitic structure, essentially free of carbides and reasonably homogeneous with respect to carbon and manganese, is desired in the as-quenched condition, although this is not always attainable in heavy sections or in steels containing carbide-forming elements such as chromium, molybdenum, vanadium and titanium. If carbides exist in the as-quenched structure, it is desirable for them to be present as relatively innocuous particles or nodules within the austenite grains rather than as continuous envelopes at grain boundaries. AMS can offer the best combination of toughness and resistance to high stress and gouging abrasion. As per the Mn steel equilibrium diagram any C composition greater than 1.2 % encourage formation of acicular carbide which in turn lead to intergranular embrittlement in steel. The high carbon content in Mn steels, if completely retained in solution, provide best resistance to abrasion wear. To achieve the desired mechanical properties, the manganese steels have to be heat treated above the Acm-line of the phase diagram, a procedure referred to as austenitizing or solution annealing, followed by water quenching. The austenitizing will dissolve carbides from the eutectic formation at the end of solidification, and also contribute to remove some micro segregation in the microstructure. The water quenching should prevent new carbides to form during cooling from the austenitizing temperature, although in larger components some precipitation must be expected. Carbide-forming elements such as chromium, molybdenum and vanadium will increase the chance of undissolved carbides or precipitation of carbides during cooling of the steel. Subsequent reheating is in general not recommended for austenitic manganese steels. Reheating between 260 deg C and the Acm-temperature can lead to precipitation of carbides giving embrittlement. Low carbon contents and additions of molybdenum and nickel can suppress embrittlement to some extent. As the section size of manganese steel increases, tensile strength and ductility decrease substantially in specimens cut from heat-treated castings. This occurs because, except under specially controlled conditions, heavy sections do not solidify in the mold fast enough to prevent coarse grain size, a condition that is not altered by heat treatment. Fine grain specimens may exhibit tensile strength and elongation as much as 30 % greater than those of coarse grain specimens. Grain size is also the main reason for the differences between cast and wrought manganese steels; the latter are usually of fine grain size. Mechanical properties vary with section size. Tensile strength, tensile elongation, reduction in area and impact strength is substantially lower in 100 mm thick sections than in 25 mm thick sections. Because section thicknesses of production castings are often from 100 mm to 150 mm, this factor is an important consideration for proper grade specification. Austenitic manganese steel is apparently immune to hydrogen embrittlement. There is gradual decrease in impact strength with decreasing temperature. The transition temperature is not well defined because there is no sharp inflection in the impact strength-temperature curve down to temperatures as low as 85 deg C. At a given temperature and section size, nickel and manganese additions are usually beneficial for enhancing impact strength, while higher carbon and chromium levels are not. Resistance to crack propagation is high and is associated with very sluggish progressive failures. Because of this, any fatigue cracks that develop might be detected, and the affected part or parts removed from service before complete failure occurs. Yield strength and hardness vary only slightly with section size. The hardness of most grades is about 200 HB after solution annealing and quenching, but this value has little significance for estimating machinability or wear resistance. Carbon and manganese are the primary alloying elements. Typical concentrations are 0.7 % – 1.45 % carbon and 11 % -14 % manganese. These two elements stabilize austenite and give solid solution strengthening. Manganese also stabilizes austenite by delaying the transformation/increasing the hardenability. A higher austenitizing temperature is needed with higher contents of carbon and manganese. Si has little effect on the mechanical properties if kept under this value. Amounts of 0.10 % increases fluidity during casting. Above 2.2 % silicon there is a sharp reduction in ductility and strength. Chromium increases the initial hardness and the hardness after deformation. Chromium modified manganese steels usually contain 2-4 % chromium. Molybdenum in the amount of 0.5 % -2 % improves the toughness and resistance to cracking before heat treatment. Molybdenum also suppresses embrittlement during reheating. 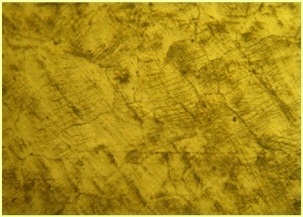 The improvement is thought to be due to the formation of nodular carbides instead of continuous bands around austenite dendrites. By heating a standard grade manganese steel containing 2 % molybdenum for 8 to 12 hours at 595 deg C and water quenching it from 980 deg C, a structure of finely dispersed carbides in austenite should form, improving abrasion resistance. Vanadium is strong carbide former. It increases yield strength with a reduction in ductility. Additions of 0.5 % -2 % give precipitation hardening when solution treated at 1120-1175 deg C and aged at 500-650 deg C.
Nickel increases ductility and stabilizes austenite. Titanium can reduce carbon in austenite by forming very stable carbides. The resulting properties may simulate those of lower-carbon grade. Titanium may also somewhat neutralize the effect of excessive phosphorus. Microalloying additions (< 0.1 %) of titanium, vanadium, boron, zirconium and nitrogen have been reported to promote grain refinement in manganese steels. The effect, however, is inconsistent. Higher level of these elements can result in serious losses in ductility. Nitrogen in amounts greater than 0.20 % can cause gas porosity in castings. An overall reduction in grain size lowers the susceptibility of the steel to hot tearing. Sulfur content in manganese steels seldom influences its properties, because the scavenging effect of manganese operates to eliminate sulfur by fixing it in the form of innocuous, rounded, sulfide inclusions. The elongation of these inclusions in wrought steels may contribute in directional properties; in cast steels such inclusions are harmless. However, it is best to keep sulfur as low as is practically possible to minimize the number of inclusions in the microstructure that would be potential sites for the nucleation of fatigue cracks in service.